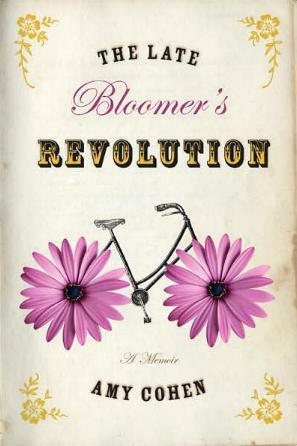 I felt I could identify with author Amy Cohen, for I too, am a late bloomer. I always describe myself as "latent". I always had to wait for things, and I was delighted to learn I wasn't the only one. Ms. Cohen eloquently tells her story in a humorous and captivating way. I'm positive that nearly everyone will be able to see a bit of themselves on nearly every page. Meeting someone new. Losing someone new. Starting something and not finishing it. Feeling so alive and as though you don't fit in. I see her point, in most things, except my mother is still around, and I didn't have anything remotely "connected" as she did with her widowed dad. I had much much fewer dates than she did, but my mother had much the same advice as her mother. I hated the little dating I ever did and had the same apprehension Ms. Cohen had. The book skips along at a brisk pace, with vivid recollections of her single days and nights, her father's advice, the men she met, dated, and lost, all the while keeping her sanity. Barely. Or at least what was left of it. I like to think I have a good sense of humor, and if I could have written about my mishaps instead of internalizing them, perhaps I'd have coped better. I'm so glad Ms. Cohen put pen to paper, because although we didn't share the same things, we are able to make comparisons to our own lives, and know that we are not alone. One of my favorite sayings is "It's never too late," which Amy Cohen proves in her book. Hey, I'm about to turn 50 and I'm writing a humorous book about being single at 50! Conclusion - Very funny and beautifully observant. I couldn't put it down.